January is over! This month was pretty good even if I had my finals pretty early on the month but since now I’m on winter break, it’s all good! This month was a pretty good month, I read a couple of very good things and one disappointing thing. Let’s start with the bad: Dreadnought by April Daniels… I made a pretty ranty review of this one so if you want to know what didn’t work (spoiler alert: everything), you can check out my review. Other than this book however, everything I read was either good or very good so overall, I am happy! I decided that from now on, I would only review books if I actually have something worthwhile to say about them (or if I received them from the publisher of course!). Which means that for example, I won’t be reviewing Naamah’s Kiss by Jacqueline Carey. I really liked it as usual with Carey but I don’t have anytning to say about it. Carey is that kind of author for me, I really love most of her books: they are well-written, the intrigue is always good and the worldbuilding is top-notch but I am unable to review them. I highly recommend her works but I don’t know what I would say about them except “it’s good stuff guys, check it out!”. So, yeah… check it out! Same with Metamorphisis by Kafka, it was very weird, funny and in the end quite tragic but I don’t really have anything to say about it. However, I will talk about Her Body and Other Parties by Carmen Maria Machado in a couple of days and I am still debating weither I should write a love letter to Autumn by Ali Smith which was so amazing that I am actually re-reading it right now. Same with The Fishermen by Obioma, I really liked it but I don’t know how I would express my feelings about this one. I will have to think about it for a while before attempting to write something coherent! This book is amazing. Ali Smith’s prose is a dream: she plays with words masterfully. Proclaimed the first first post-Brexit book, this book follows a friendship between a child and a hundred years old man. It is a witty, sad yet full of life poignant story. I am re-reading this right now and I am loving it even more. In a strange way, this story feels very personal even if I never experienced something like that in my life. 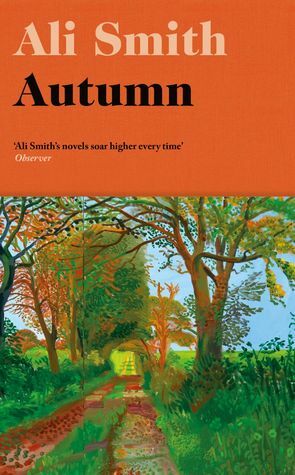 As I mentionned, I am currently reading Autumn by Ali Smith but I should finish my re-read today or tomorrow. I am also 200 pages in Black Wolves by Kate Eliott, an epic fantasy book that I have been meaning to read for years. So far, I am very much enjoying it! How was your January? Have you read anything good?